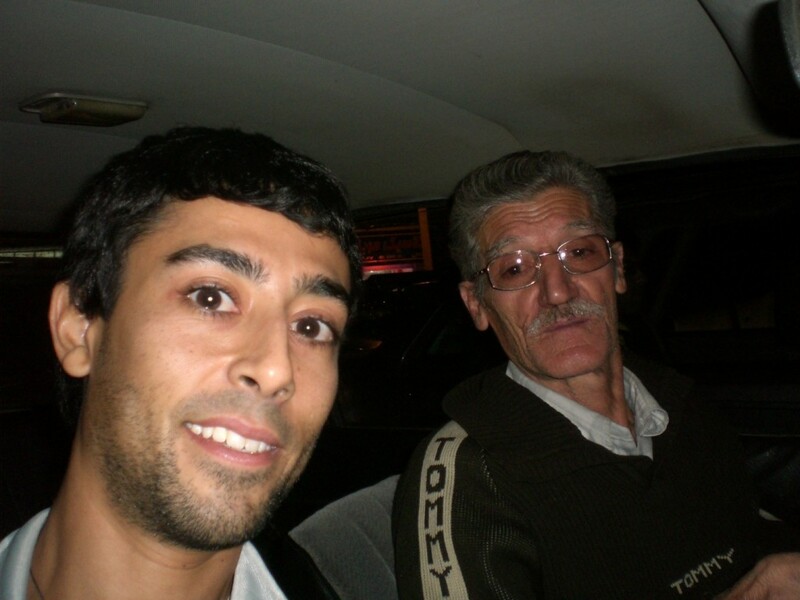 As I got off the plane in Tehran, I realized my experience in Iran was going to be different this time. Unlike my previous three visits, this time I was on my own — no mother, uncle or aunt to step in and show me the way. This was exciting. 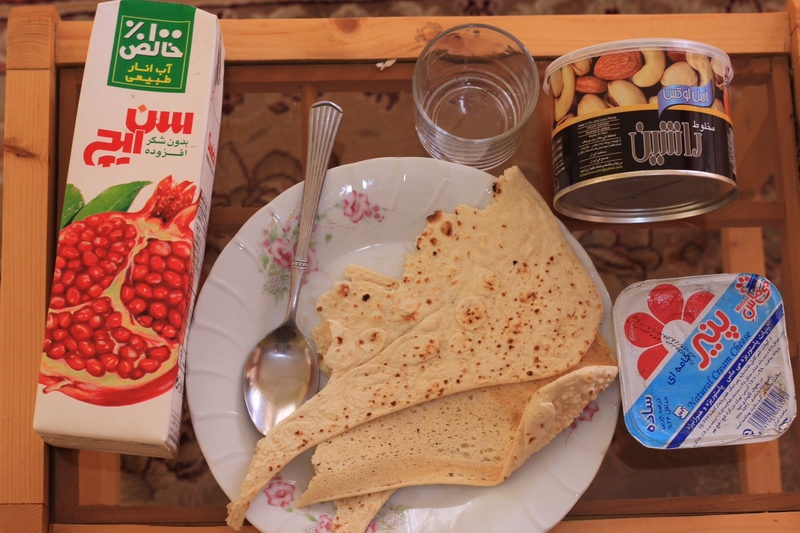 Not only was I going to see and learn about many new-to-me areas of Iran, but I also knew I had a task at hand (while having some fun, too, of course). The typical image most conjure up of Iran is probably nuclear bomb-hungry terrorists riding on camels in the desert with AK-47s, searching for new killings. Well, that couldn’t be further from the truth. There’s the amazing hospitality of the people, lush Vietnam-esque scenery, ridiculously delicious food, ancient sites, exquisite handicrafts and a lot more that unfortunately, people may have never heard about. I want these posts to be about not just Iran, but any country we may have preconceived negative notions about simply because of what the media tells us as well. (There’s a lot more to a country than its political news!) I want these posts to help you dig deeper on such so-called taboo places, and possibly even travel there and discover a hidden gem for yourself. 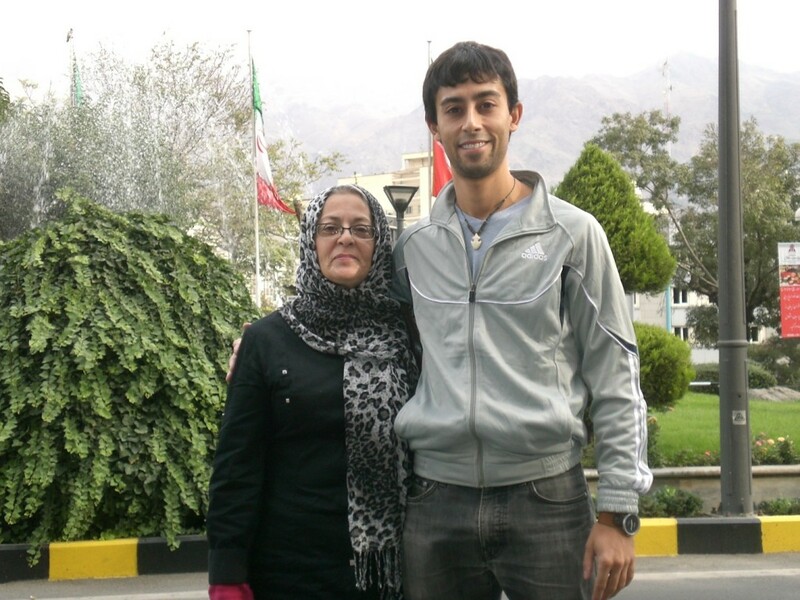 The journey began with meeting up with my mom in Iran’s capital of Tehran for the first two days before we parted ways — me to go backpacking solo, she to spend the rest of her visit in Isfahan. 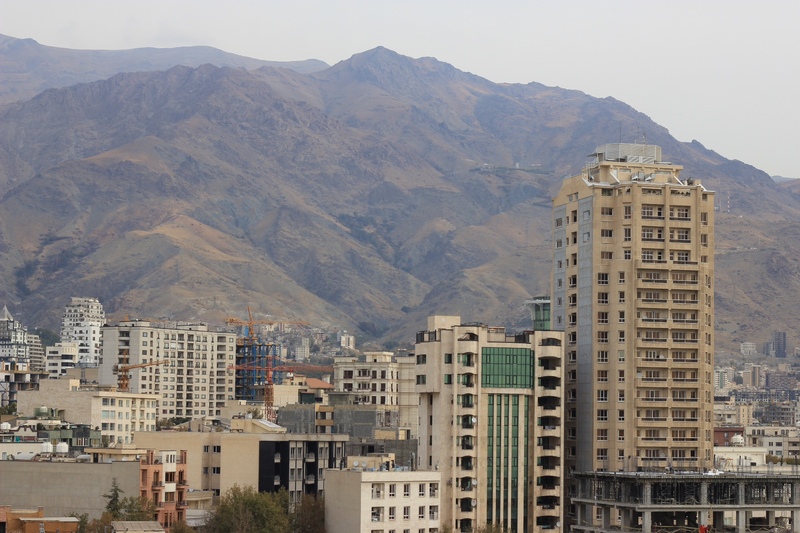 We hung around the northern part of Tehran, had some good food and people-watched. I unfortunately don’t have pictures to show, but I will say this: People were so fashionable — as if they had been transported from Manhattan’s SoHo to Tehran! 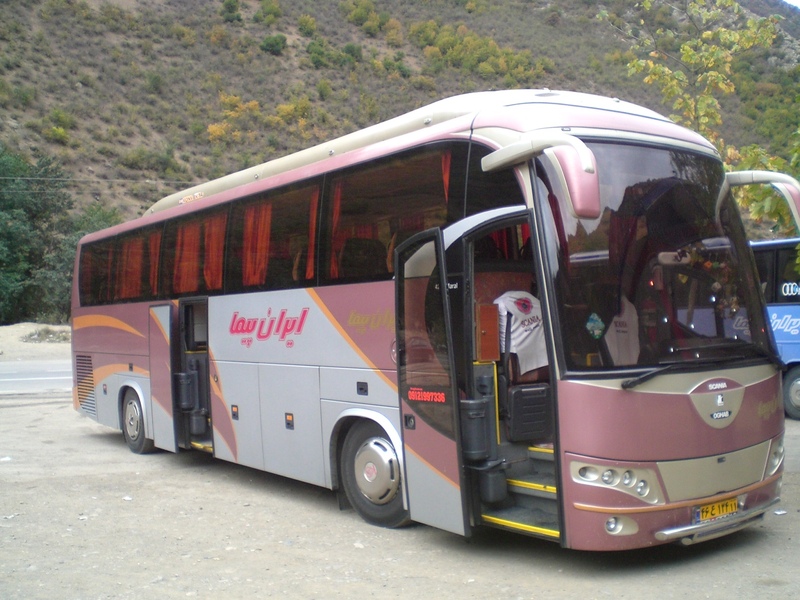 Once I was off on my own, I hopped on a nice, shiny, pink bus en route to northern Iran, specifically the city of Ramsar, located on the Caspian Sea. 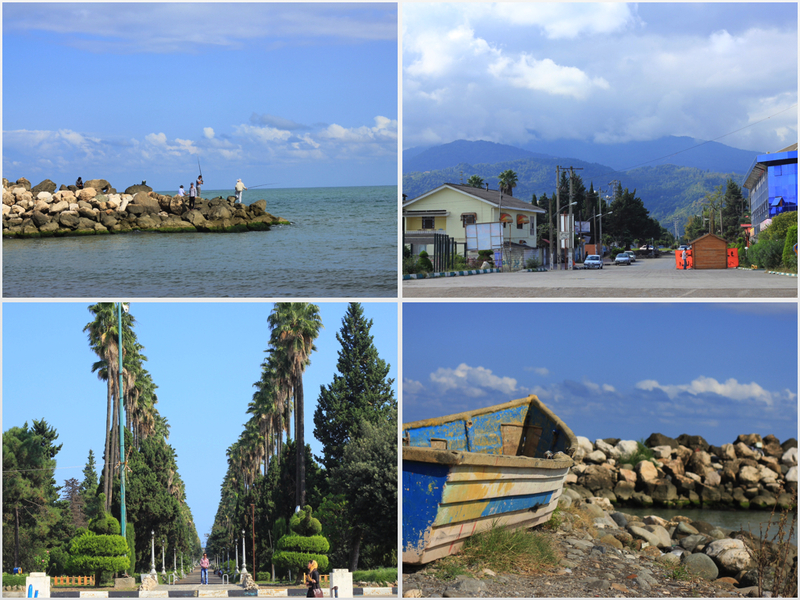 The area around the Caspian is a popular summer and weekend destination for Tehranis and others in Iran — in fact, the Shah of Iran used to frequent here in the summers — and is known for its beautiful green scenery and pleasant weather. I went in off season, a good choice because it meant fewer tourists. The bus I took to Ramsar. Buses in Iran are actually quite nice since they’re the primary mode of transportation between cities of long distances. The drive to Ramsar from Tehran was stunning. It winded through and around mountains, valleys and turquoise blue streams. That said, there were a few moments when I felt we were a bit too close to the edge of the cliff. When I got to Ramsar, I had absolutely no idea where I was going to sleep. I knew what my budget was (50K Toman or approximately $16/night). Luckily, I walked into the right kebab shop. The owner answered my question by explaining that hotels weren’t going to be in my price range, but that instead, he had an empty villa he could offer to me for my price. Out of tiredness and sheer laziness, I decided to trust the guy and hopped on his motorbike to get to the villa. 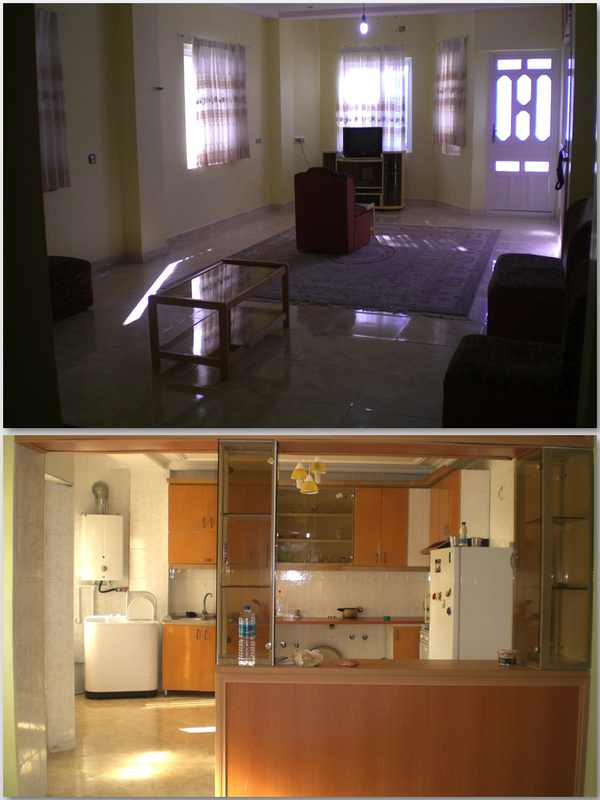 As it turns out, the place was spotlessly clean with a big kitchen, two bedrooms and most importantly, a western toilet. Hallelujah! (I love my culture, but I’m not a big fan of the hole in the ground.) The villa was located on a charming street with palm, orange, and apple trees and plenty of flowers. 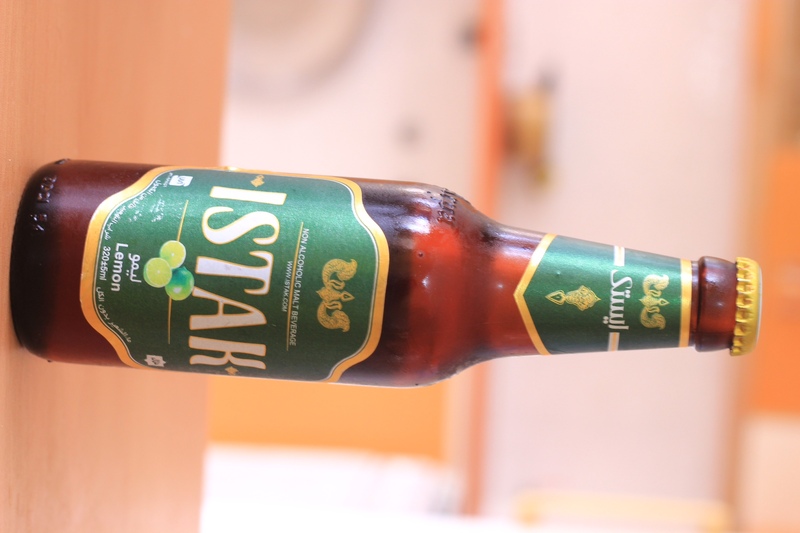 Bought some groceries to have a traditional Iranian breakfast and a beer…a nonalcoholic beer that is. Beyond the pimp villa, Ramsar itself was beautiful. The sea and lush mountains joined quite nicely. 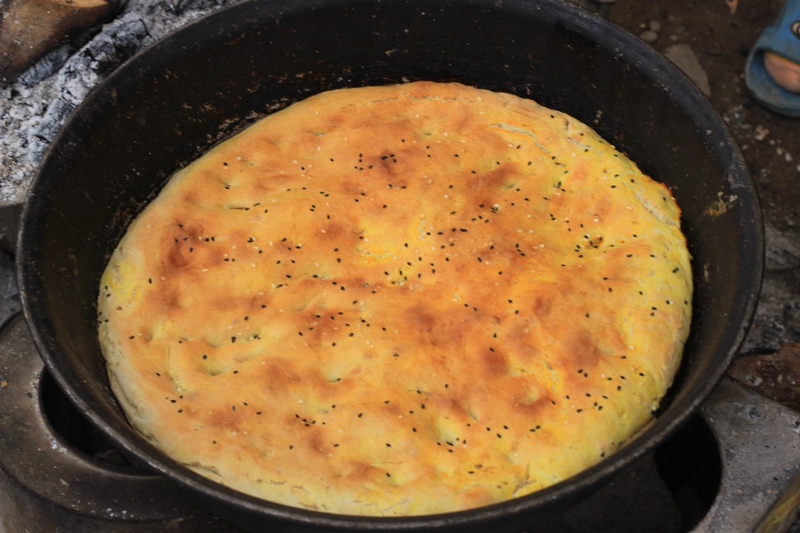 And a little factoid – 95% of the world’s caviar comes from the Caspian Sea. 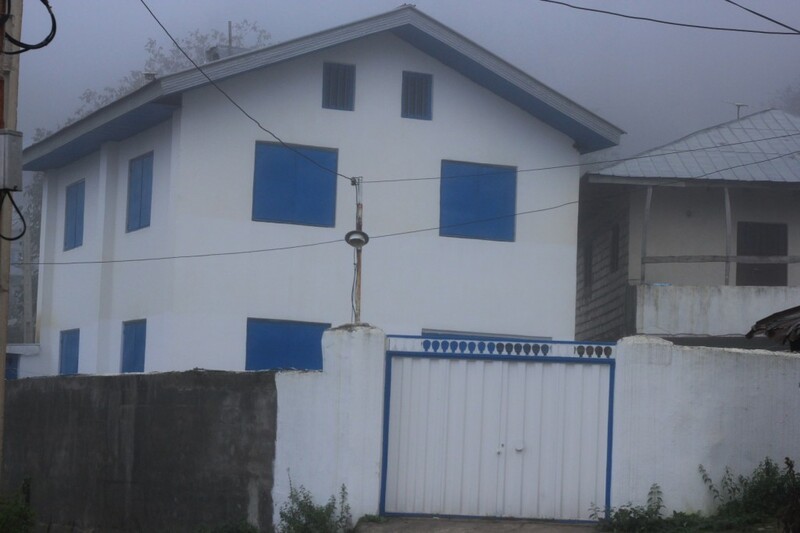 After enjoying the beach and town, I headed up the mountain to a quaint, foggy village reminiscent of Harry Potter named Javaherdeh (literal translation is Jewel Village) for a change of pace. The drive was again stunning (and a bit scary with the heavy fog) and reminded me of our motorcycle ride in Mai Chau, Vietnam. 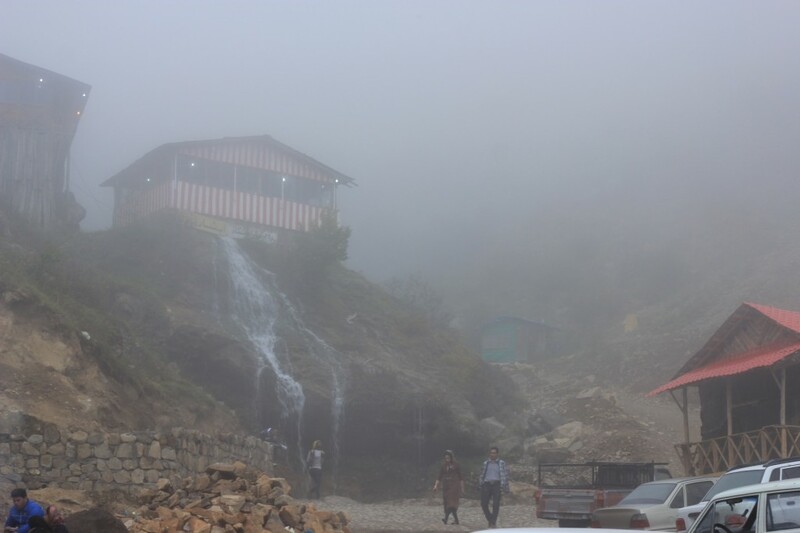 Waterfall near the village…very foggy. 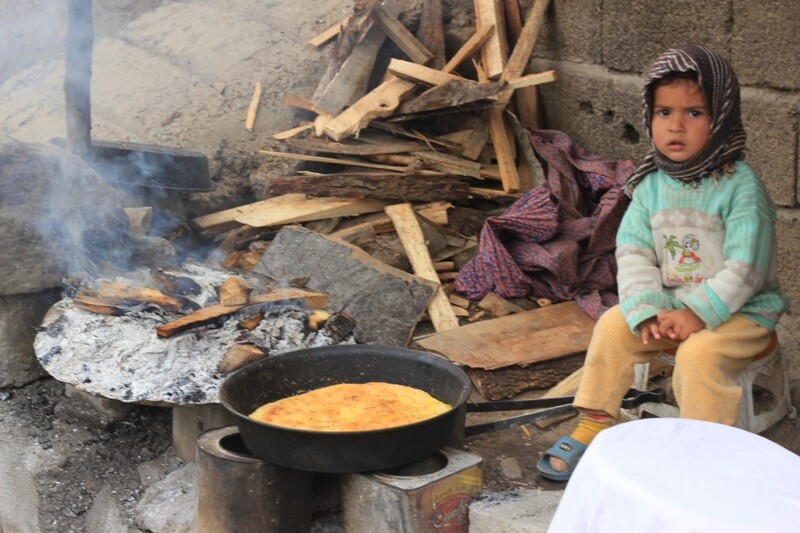 There were a lot of women and their kids selling freshly baked bread on the street. So tasty. 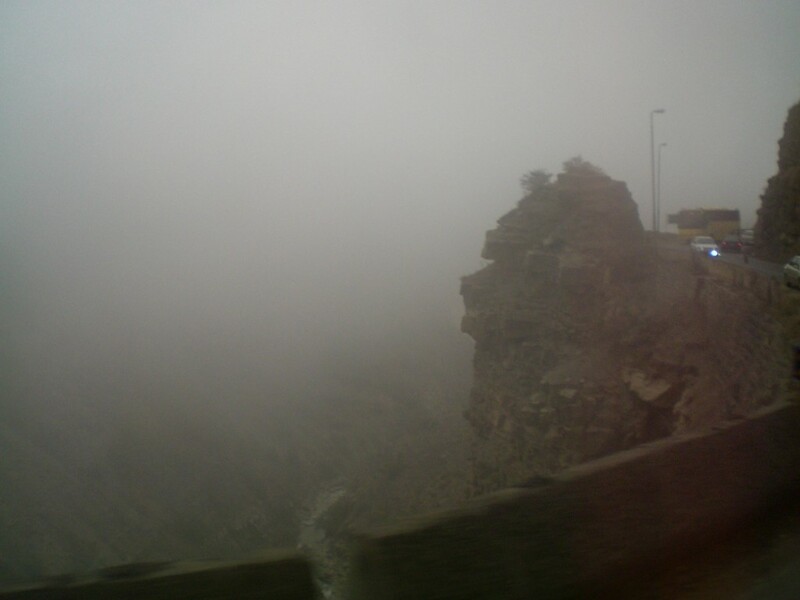 Coming back down the mountain, my taxi driver — a seasoned cabbie who had been doing the drive up and down the mountain for 35 years — was a very friendly old man, who told me how he can drive the mountain with his eyes closed. I told him not to just to be safe. For the next 45 minutes, he proceeded to tell me the history of the different cars he’s owned during his taxi-driving years and how he financed each one of them. 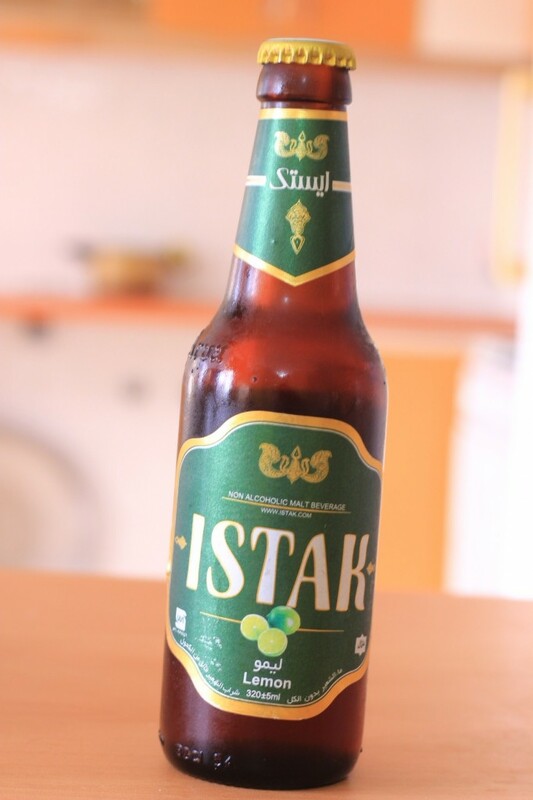 And what to do after staying in a villa and visiting foggy villages? 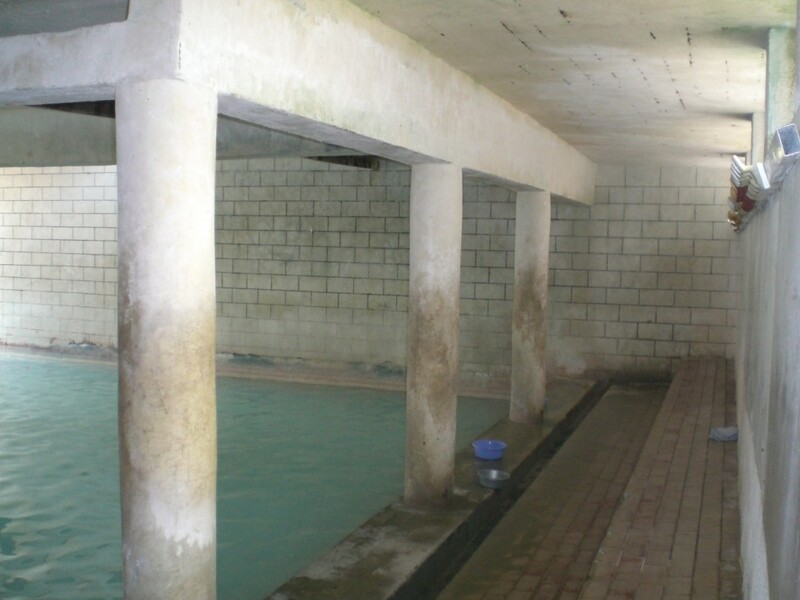 Visit a natural sulfur hot spring bathhouse, of course. And a visit to the Shah’s summer palace. 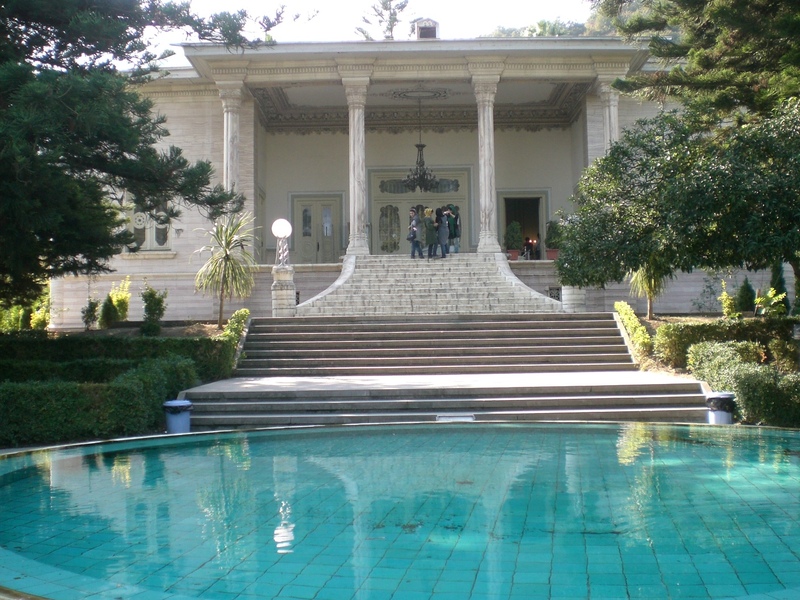 The Shah and later, his son would come here when they needed to get away from their other palaces in Tehran. Tough life. Next up Lahijan, tea capital of Iran, and Rasht, headquarters for the famous garlicy Gilani cuisine! 6 Responses to Iran: The journey begins! Great blog post Eaman! Enjoy the rest of your time in Iran. Sweet villa by the way…for only $16 a night! Thanks Adam! I definitely had waaaay more space than I needed, but for that price, why not! Thanks Tina! That’s one of the reasons why I’m proud to be Iranian. You usually have hundreds of friends in the streets that you haven’t yet met! Thanks Tomushka, will do. I’ve been slow to post lately due to lack of wifi. But sooner or later, all posts will be up.